Happy Monday, Crafty Friends!! 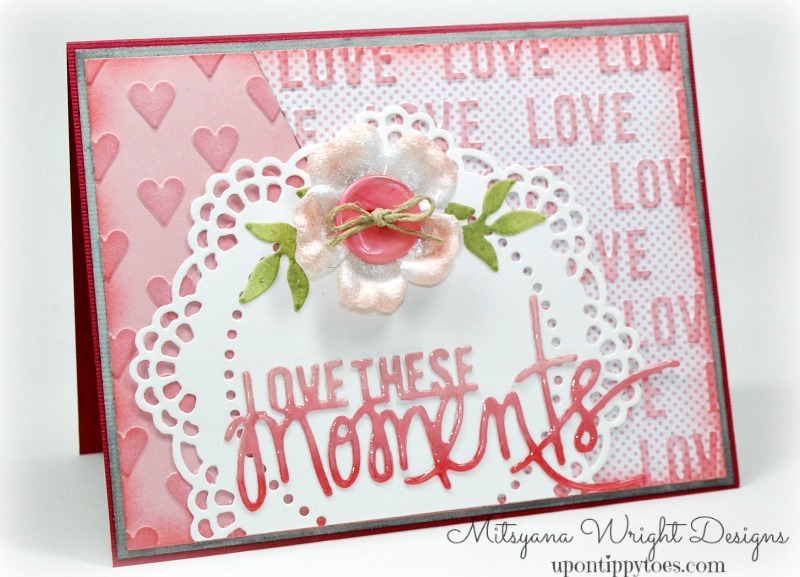 Here at Craftwell we will be celebrating a whole month of LOVE!! Because love is not just for one day but EVERYDAY!! And we will be sharing all that LOVE and our love for crafting with you! For my project I made this love themed card that can be used in a wide variety of occasions... Weddings, birthdays, graduations, anniversaries... and so much more! 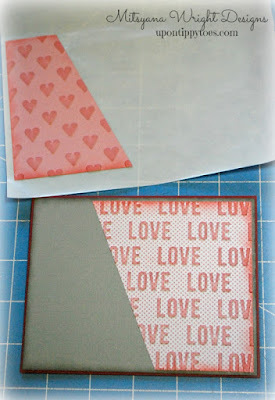 First, I started by cutting my patterned paper with my diagonal dies (not the actual name, just something I nicknamed them) and cut'n'boss machine. I love how crisp the results are using these folders. They give a really deep impression without ripping my paper. After my piece were embossed, I inked the raised images by laying my ink pad flat and simply (and lightly) rubbing back and forth. I did NOT apply any extra pressure. 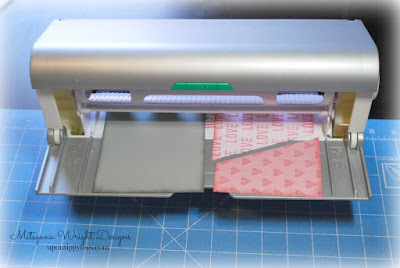 This will ensure the ink will only be applied on the raised parts and not the rest of the paper. I also inked/ distressed the edges of my pieces with more ink and a sponge dauber. 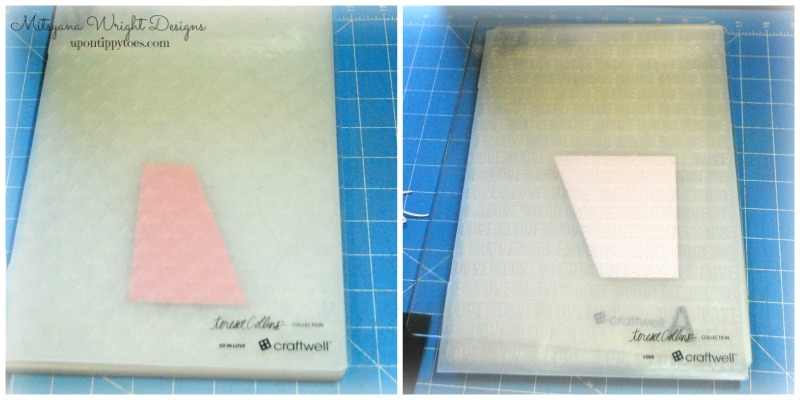 Then did the same with my card mat. Since my "diagonal" pieces form to make a 4"x 5-1/4" I cut my card mat measurements at 4-1/8" x 5-3/8". 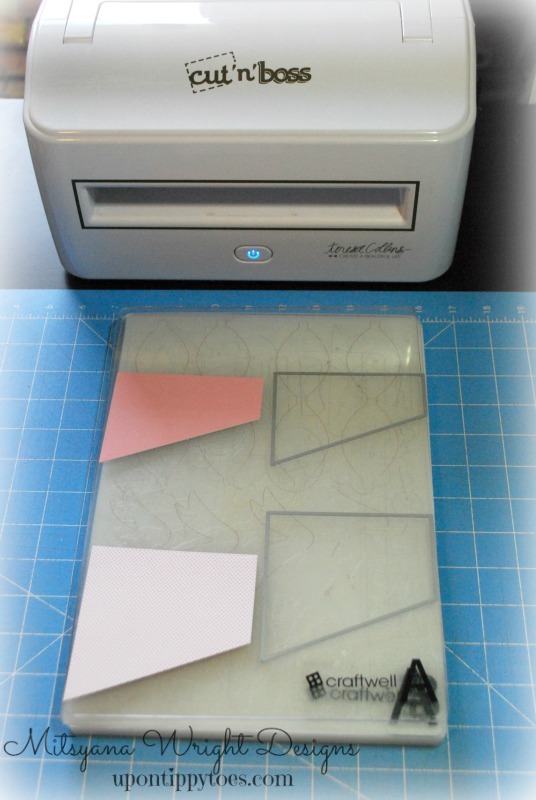 Then, I ran my panel pieces through my Xyron Creative Station. I found that embossed and heavily textured papers don't adhere too well using adhesive tape because there's not enough direct contact with surface area. I peeled and layered my pieces onto a A2 (4-1/4"x 5-1/2") sized card. 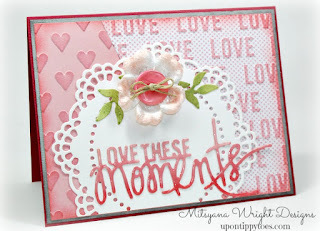 For my card front I die cut this doily die from the Teresa Collins Lover's Lane set and the "Love these Moments" from the Noteworthy set. I only die cut part of the doily because I was going to trim down the doily anyway. This way it eliminates the need for me to measure and cut. I jut used the straight edge of the cardstock and moved the die along to how wide I wanted my doily. 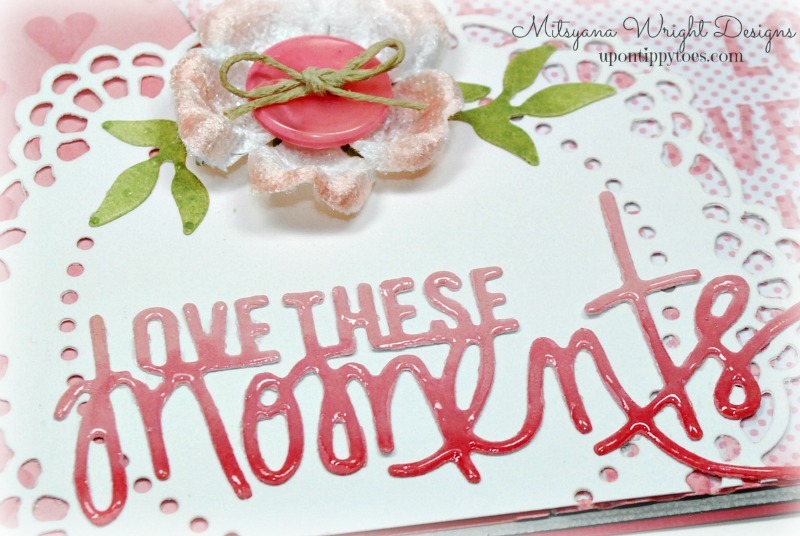 Even though it is a gorgeous doily, you don't need to us it as a whole to get amazing results. I created an ombre/ gradient effect on my sentiment by sponging on chalk ink with sponge daubers. Because the paper was already pink I just needed a couple additional deeper colors in the same color family to complete the effect. 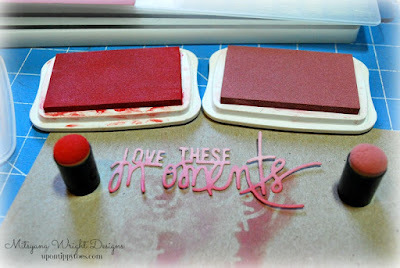 After the ink was dry, I added glossy accents over the top of my sentiment to give it a 3D effect. 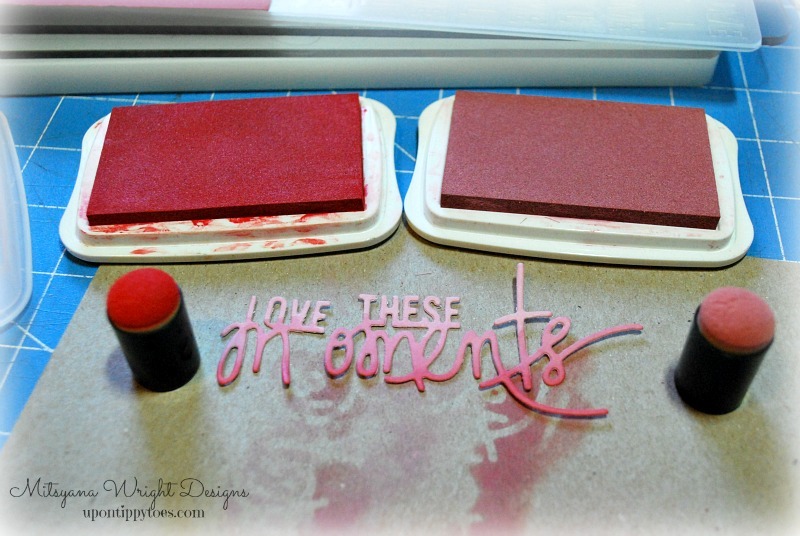 I die cut out two leaves from the Teresa Collins Thankful set and inked them with chalk ink as well. I used more glossy accents to attach my sentiment, leaves, and flower. Then, I tied a simple bow with hemp twine to a button and used glossy accents to adhere it to my flower. You can really see all the dimension that the glossy accents adds to the sentiment in the picture below. I hope you enjoyed my LOVE project!! Beautiful card. I love the techniques you used. 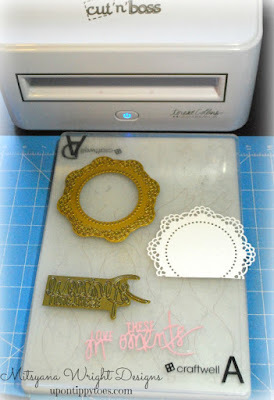 I never thought about adding glossy accents to word die cuts. Definitely going to try that. I pinned it to my Beautiful Cards board. Awww, thank you Jean!! 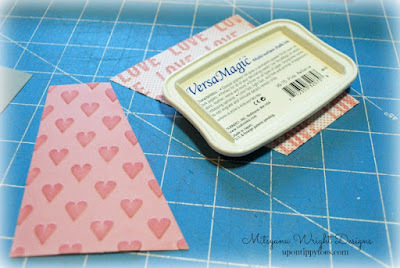 I love adding glossy accents to my sentiments... it makes it look like an epoxy embellishment.